I guess this is quite a random title for my latest post but it’s somewhat radio related plus I really like the song :). So what has the radio got to do with my recent work antics anyway ? Well here’s something you probably didn’t know – my office is actually based at a radio station, Campus FM 103.7, forming part of my company MUHC. 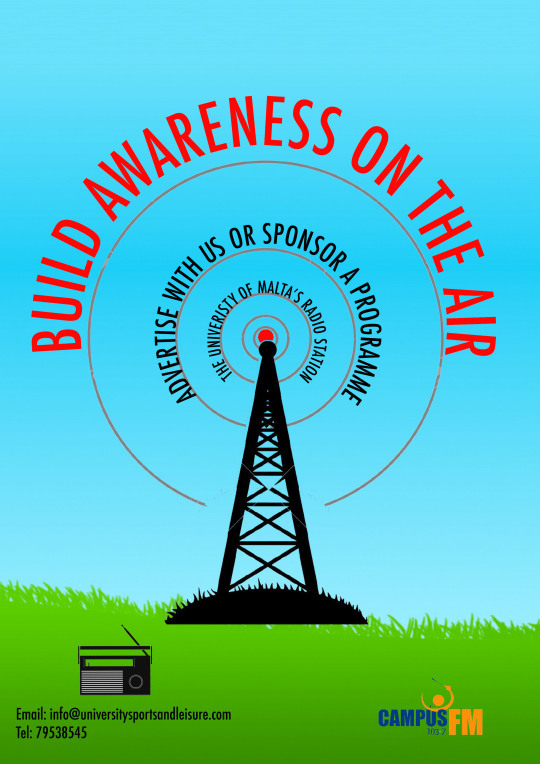 This is the University of Malta’s radio station and it boasts educational programmes involving both students and lecturers alike on numerous occasions. Although my work rarely entails anything related to the radio station since I fall under a separate sector, these past 6 months I have gotten to know the Campus FM Team. They have been extremely welcoming and overall they create a great and relaxed ambience to work in.